"Harmony" Gets A New Preview! 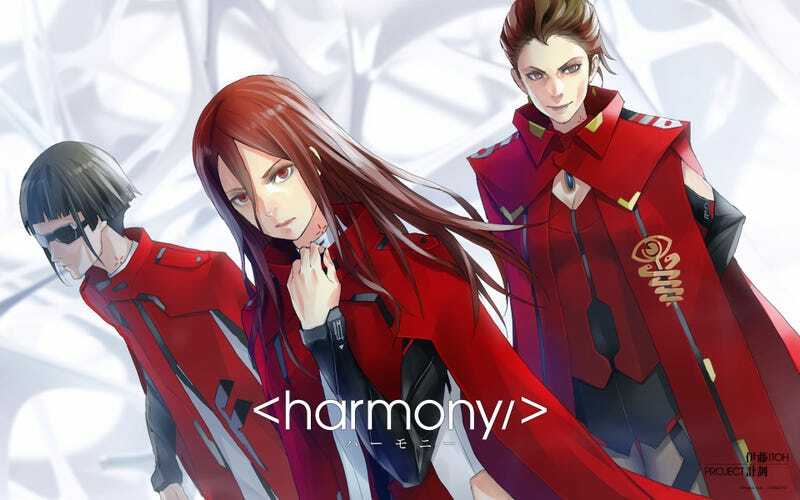 The official website for the upcoming anime films based on the works of late novelist Project Itoh began streaming a new theatrical preview for Harmony today. The video also previews the film’s theme song, “Ghost of a smile”, performed by EGOIST. In the future, Utopia has finally been achieved thanks to medical nanotechnology and a powerful ethic of social welfare and mutual consideration. This perfect world isn’t that perfect though, and three young girls stand up to totalitarian kindness and super-medicine by attempting suicide via starvation. It doesn’t work, but one of the girls—Tuan Kirie—grows up to be a member of the World Health Organization. As a crisis threatens the Harmony of the new world, Tuan rediscovers another member of her suicide pact, and together they must help save the planet... from itself. The Empire of Corpses opened in theaters in Japan on October 2nd, and Harmony will open on November 13. Genocidal Organ was slated for November 13th, but the film was unfortunately delayed after Manglobe filed for bankruptcy in September. Genocidal Organ’s new debut date has not yet been announced. Funimation will release the trilogy of films in North America sometime in 2016.